You can choose a band based on the tension level you require. They are far more durable than standard slingshot bands. They are made of high-quality latex. They are manufactured with 15 layers of latex for extra strength. They are designed for heavy use. They last a very long time with regular use. They are quite expensive in comparison to other slingshot bands. The tension of the band can make it difficult to draw it back with ease. 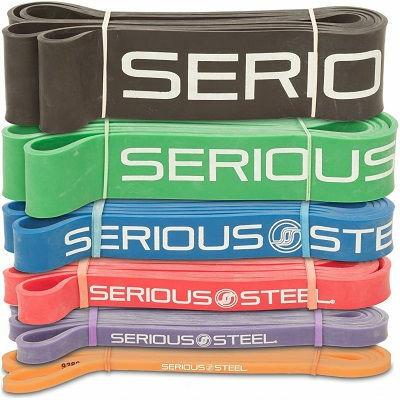 Serious Steel Fitness resistance band. Dimensions: 1-¾-inch x 0.17 inches. QWhat is the tension rating? QWhat color is the band? QWill they fit any slingshot? AMany slingshots will need slight modification. While this resistance band is not designed or manufactured for use with a slingshot, it provides far more strength, durability, and versatility than many purpose-built slingshot bands for sale. It’s not as affordable as a standard band, but the longevity of it ensures it will pay for itself time and time again. You can also choose to buy online, which means you not only have a better chance of getting the best deal, but you can even get it delivered directly to your door. This elastic resistance band is one of the best slingshot replacement rubber bands for the money. Check out what other people who purchased this product think about it. Read Serious Steel Fitness slingshot replacement rubber band reviews. TheraBand Professional Latex Resistance bands have earned a reputation for excellence over the past 25 years. TheraBand is accredited as the original progressive resistance system with a reputation for withstanding severe pressure. So, it stands to reason that if these bands can stand up to use in your usual exercise regime, they can certainly withstand use in your slingshot! If you are frustrated by the lifespan of conventional replacement slingshot rubbers, the Silver TheraBand will turbo-charge your hunting, fishing or competitive shooting experience. 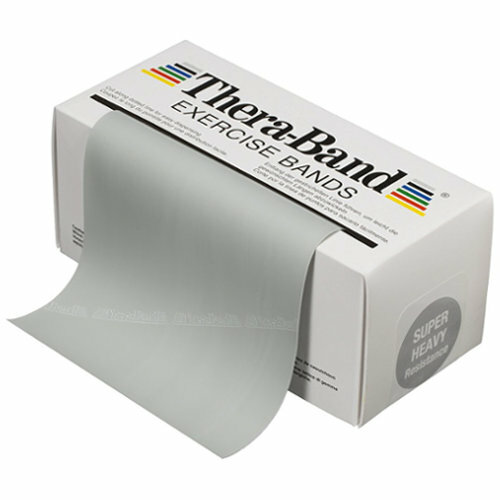 The Silver Theraband Resistance Exercise bands are available from Saveritemedical.com at $48.21. However, lifting your wallet won’t be painful with Amazon’s amazing price of $19.97 for a 6 Yard length of Silver Theraband resistance band. With the 6-yard dispenser, you will likely enjoy uninterrupted slingshot performance for a very long time to come. This product has a shipping weight of around 1 pound. 1 x 6 Yard length of one Theraband color (preferably silver). More than one buying guide endorsed Therabands as being made of exceptional quality rubber. This qualifies them for use in hunting slingshots, especially the silver color, as this yields a resistance of 10.2lbs. measured at 100% elongation. 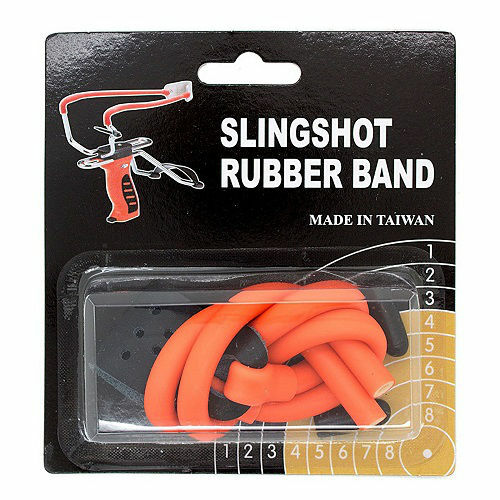 Under consumer review, it has emerged that this product is a viable alternative to purchasing ready-made slingshot elastics. It is not only highly cost-effective but also ultra-convenient. Especially if you own multiple slingshots, or use your slingshot a lot. The innovation of the Theraband system allows for both positive and negative force on the bands. Designed to allow users the freedom to cut and tie their own lengths per individual preferences and needs, the dispenser offers slingshot enthusiasts a bumper supply of tailor-made replacement bands. The bands are made using premium quality rubber, to ensure the best user experience. This elastic comes in a 6-yard length which allows consumers the flexibility to create custom slingshot band sizes and shapes. This also means that replacement rubber tubing is readily at hand for continued shooting in the event of a breakage. No more waiting for replacement slingshot bands to arrive before you can resume shooting or target practice. Lightweight and ultra-portable, the Therabands can be easily taken on your outdoor adventures as a backup plan for possible elastic breakages. They can be cut to custom sizes and easily tied to fit your particular slingshot. Using the Therabands as replacement bands for slingshots sometimes requires some adaptation for a good fit. Using the Theraband will mean that there is no replacement ammunition pouch, and shooters will have to work around that for loading and securing shot and pebbles. This can be overcome by cutting the Theraband wider in the middle to accommodate ammo. Q. Are the bands all the same width? A. Yes, they are 5 inches wide. Q. Which band has the highest resistance? A. The gold band, but slingshot enthusiasts who use Therabands as replacement elastics recommend the silver. Q. Are these bands compatible with all slingshots? A. No, while you may have some success with minor adaptations on some makes, these bands are specially designed to work with Barnett slingshots, for the best possible user experience. Check out what other people who purchased this product think about it. Read TheraBand slingshot replacement rubber band reviews. All slingshot enthusiasts know that sinking feeling when the rubber band breaks and the fun is over. You only have to read one buying guide to know that all slingshot rubber bands and tubes are not created equally. So, it makes sense to stick to select products that are trusted for their reliability. The Magnum Power shot replacement bands manufactured by Barnett are a solid choice. At the time of this review, the Magnum Power shot replacement bands were advertised by a few online vendors, however, zero availability and high shipping costs were huge drawbacks. Amazon has stock available at a very competitive $7.79, and free shipping, while stocks last. Amazon is known for their shipping reliability and great customer service too, which is sure to drastically reduce your lost hunting time. 1 x Replacement Magnum Power Shot band, with ammo pouch fitted. The replacement elastic is 2.5” x 13.6” x 0.5” and the shipping weight is 0.8 ounces. These slingshot bands can render great velocity and are well suited to hunting small game and birds, provided the right shot is used. Some users would argue that this is determined by how the bands are fitted, and in this instance, they loop around the frame and back into themselves as opposed to connecting through a peg. Barnett is a name synonymous with quality and durability in the hunting industry. Barnett products are consistently designed to be lightweight, powerful and versatile. Their impeccable track record built over the past fifty years since their inception speaks for itself. So, it is no surprise that the Magnum Power shot replacement band is a premium quality band that comes complete with a durable leather ammo pouch. Made of high-quality rubber tubing, the Magnum replacement bands will have you hunting and fishing again in no time. It is not uncommon to see the Magnum power shot band coming under review against well-known Trumark bands, however, most users seem to agree that the Barett replacement bands are hard to beat. True to form, Barnett’s has shown innovation in the details. The holes in the ammo pouch to decrease wind resistance are one example of this. For another, the pouch is bigger than those found in the Truman range, making it easier to accommodate larger shot. Each pack only contains one unit. It may be a good idea to order two replacement bands so that you always have one spare at hand. Q. Are these bands suitable for use on a homemade slingshot? A. Yes, users report using these bands on homemade slingshots by simply looping the band around a finger and tying it off with a kite string. Q. How many pounds is the pull on these bands? A. Estimated 15 on a full pull back. Check out what other people who purchased this product think about it. Read Barnett slingshot replacement rubber band reviews. Modern slingshot enthusiasts have a lot to thank Charles Goodyear for. In 1839 he introduced the world to vulcanized rubber, patented it in 1844 and the rest, as they say, is history. While the connection with rubber might be obvious regarding tires, it revolutionized slingshots too. Although traditional slingshots were totally DIY, they paved the way for modern hunting slingshots. Rubber bands and tubing have evolved to deliver exceptional strength and distance. Wizards’ Replacement Rubber Power Bands are very popular among slingshot owners as a modern solution to broken elastics. Desertcart.com has the Wizard Replacement Power Band set for around $8.98. As we’ve come to expect, Amazon is unbeatable with their price of $5.99. They also offer free shipping while stocks last, so pack up your fishing and hunting gear so long, because Amazon will have your slingshot back in business before you know it! 1 x Wizard Slingshot Replacement Rubber Power Band set. 1 x Leather ammo pouch. We’ve already established the durability of Wizard’s replacement power bands, but durability does not necessarily guarantee performance. However, slingshot owners purchasing Wizard’s replacement tubing will not be disappointed – these bands are more than capable of delivering a high-velocity shot. Some users report that replacement of broken slingshot bands can be tricky, time-consuming and frustrating. This does not apply to these easy to fit replacement bands. Designed for high velocity, these rubber tubes consistently deliver distance and speed. Elastic is susceptible to environmental factors, and for this reason, it is hard to predict the lifespan of these replacement bands. However, if you appreciate the feedback of a good buying guide, you will likely already know that Wizard’s replacement power bands have a great reputation for longevity. The manufacturer is committed to providing a product of the highest quality. Their use of surgical grade rubber in the manufacturing process bears witness to this. In a recent user review, a consumer reported applying Armor All to their bands to increase their lifespan even further. An added benefit of the Wizard replacement power bands is that they are made to fit all tubular design slingshots. Another fun option is that they are available in yellow, blue and red, for cool slingshot customization. Unfortunately, this product is not shipped to all states. One or two user reviews have mentioned with regret that the product is not shipped with replacement instructions. However, others have applauded the simplicity of the replacement process, despite the absence of instructions. Q. Some replacement tubes do not come with ammo pouches. Is this the case with wizard replacement tubes? A. No, the manufacturer supplies a new leather ammo pouch with each replacement set. Q. How much ammo/ shot comes with the replacement bands? A. The replacement tubes are not shipped with ammo, and users are advised to order ammo separately, as required. Check out what other people who purchased this product think about it. Read Wizard slingshot replacement rubber band reviews. Modern slingshots have made enormous strides in improved design and durability when compared with traditional home-made slingshots. Designed for comfort and performance, slingshots have found their niche’ in many different sports and outdoor activities ranging from hunting to fishing. However, these advancements also mean that slingshots often require specific replacement bands and tubes. The Marksman 3330 Replacement Band Kit is an innovative solution to the frustration of broken bands and will have you shooting again in no time. The Marksman 3330 Replacement Band Kit is available from Walmart for $7.73. True to form, Amazon makes the replacement band kit available to outdoor enthusiasts at just $5.59, with free shipping while stocks last. This replacement band kit takes the frustration out of band replacement and will ensure that fewer slingshots lie unused in drawers and boxes. At this awesome price, it might even be an idea to grab two sets and keep one in reserve. 1 x Pre-assembled ammo pouch. 1x Set of extra-power tubular thrust bands. 2 x Yoke tip protectors. The Marksman 3330 kit has everything you need to replace your broken bands in one box. It also comes with very easy to follow instructions. 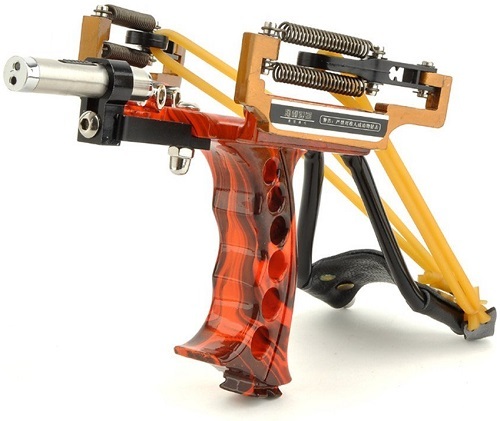 The Marksman is designed especially for the Marksman 3006, 3027, 3040, 3047, and 3061 slingshots. The bands are designed to give shooters the best velocity and results. Furthermore, they are manufactured using a system that enables slingshot users to perform their own elastic replacements at home with little or no fuss. While the replacement bands are made using high-quality rubber, all slingshot enthusiasts know that rubber is inherently prone to cracking over time. In one user review, a slingshot owner reported his success with a thin application of Silicon grease, which is otherwise known as plumber’s grease. The non-toxic grease reduces cracking and disintegration of bands and rubber tubing and is available from hardware stores at a reasonable price. A recent buying guide confirms the manufacturer’s claim that the replacement bands will also fit all tubular band slingshots with a yoke of ¼ inch diameter yokes. This product only ships within the US, and only to states where the use of slingshots is permitted. Q. Are the bands standard length? A. The bands are made to the standard length for wrist support hunting slingshots. Q. Would this band be able to shoot a toy paratrooper into the air? Q. Does the replacement band kit come with ammo? A. No, unfortunately, you will need to order your ammo separately. Q. Is it legal to own and use slingshots? A. While the hunting slingshot is widely used for sports and leisure activities, it has also earned its place as a lightweight cost effective weapon. For this reason, the use of slingshots is governed by local and federal laws, and users are urged to familiarize themselves with laws applicable to their locations, to ensure compliance. Check out what other people who purchased this product think about it. 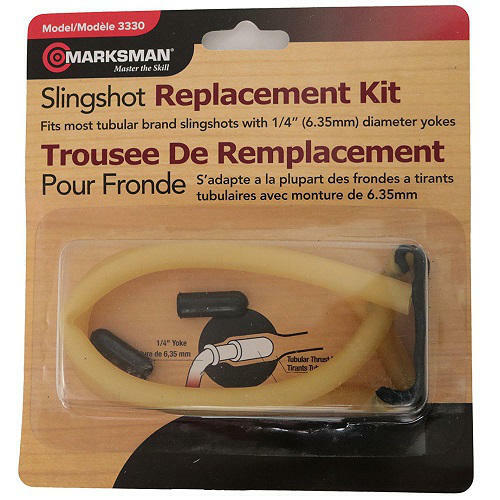 Read Marksman slingshot replacement rubber band reviews. In the 1950’s slingshot enthusiasts were introduced to a revolutionary alternative to traditionally used flat bands. Then known as the Wrist Rocket Company of Columbus, Nebraska, Trumark introduced the use of surgical rubber tubing in slingshots. Almost seven decades later, rubber tubing is a preferred band for many slingshot shooters. Spearit’s rubber tubing is used by many discerning hunting slingshot owners and is now available in bulk. Qoo10.com stocks 10 yards of black speargun tubing for $120. If you would rather pay $15.99, and snag free shipping, head on over to Amazon for their irresistible deal. Larger or smaller lengths are also available from Amazon, depending on your requirements. At this price, you can enjoy uninterrupted fishing, hunting, and competition shooting, without worrying about broken bands again. The shipping weight is 6.4 ounces. 1 x 10 Yard length of black Speargun tubing. The cross-sectional dimensions of these replacement bands are Outside Diameter – 3/8“, Inside Diameter – 1/8”, wall thickness – 1/8” and Diameter tolerance: +/- 0.02”. In almost every user review, satisfied customers confirm that this product’s dimensions concur with the manufacturer’s specifications. Manufactured in the USA by Kent Elastomer, Spearit’s black rubber tubing is ‘dip’ manufactured for optimal elasticity. The dip manufacturing process produces an end-product that is stronger than extruded tubing or tubing made from synthetic materials. The process also renders a solid length of tubing that can be cut to custom sizes. Spearit uses only the highest quality, natural latex rubber, which is well packaged and sealed to preserve elasticity and condition. In a recent buying guide, it emerged that, because Spearit recognizes that age and correct storage significantly impacts the lifespan of elastic, they are intentional about keeping stocks fresh. To this end, small, individually packaged stocks are kept at the Amazon warehouse, where stocks are replenished weekly to optimize freshness. Natural rubber latex may cause allergic reactions, however, given the limited contact with the tube, this is highly unlikely to be an issue. Purchasing Spearit replacement rubber tubing means that customers will not receive a replacement ammo pouch with their purchase. Q. How does this tubing work on a slingshot compared to ready-made replacement bands? A. Users report that the speargun tubing is better than the official replacement bands, and delivers high performance. Q. How far can I expect to shoot with one strand? A. Users have reported achieving distances of 100 yards with a single strand and more than 300 yards with 2 stands. Q. 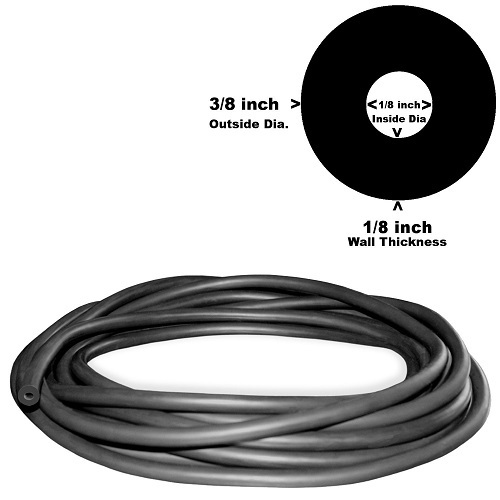 What is the difference between Spearit’s # 408 and #804 rubber tubing? A. The inside diameter of the 804 is 1/4″, while the 408 has an inside diameter of 1/8”. Q. 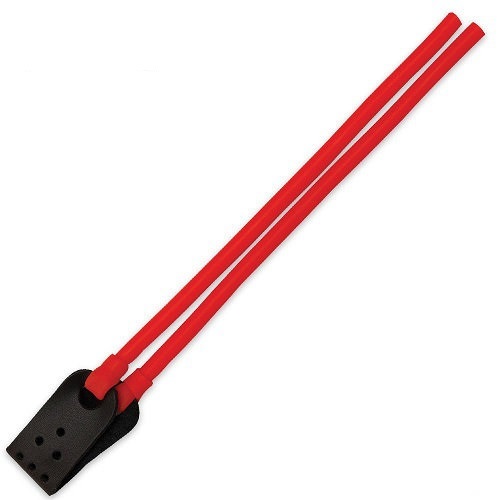 Is spear gun rubber tubing compatible with all hunting slingshots? A. No. However, users have reported great results with the wrist rocket, among others. Users are advised to check compatibility with their slingshots prior to ordering. Check out what other people who purchased this product think about it. Read Speargun slingshot replacement rubber band reviews. Choosing the best replacement bands for your hunting slingshot can be a frustrating process because quality and performance are critical, but durability is a major factor too. Trumark is a trusted name in the hunting industry, and since their inception in 1950, under the Wrist Rocket Company name, they have built a reputation for excellence. It is no surprise then, that they would lead the way with an innovative protectant for their heavy pull power bands. 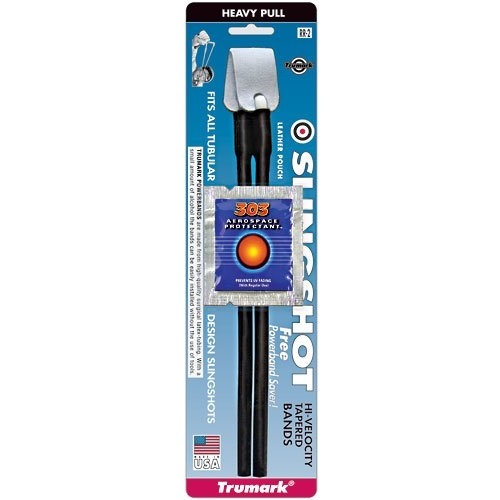 Farm and City Suppliers on the Walmart site stock the Trumark Heavy-Pull Power Bands at $30.27. Amazon has become synonymous with value that you can afford and this product is no exception. With a price of just $14.95 and free shipping while stocks last, you can be forgiven for thinking it’s your birthday. One of the best features of Trumark’s replacement power bands is the innovative 0.4% carbon black jacket that has been added to the rubber for protection against damaging UV rays. In one user review, a satisfied customer claims that the protectant tripled the lifespan of his bands. A recent buying guide substantiates this with an assertion that these are the most durable slingshot bands ever. In addition, both left and right bands are cut from the same length of tubing, improving balance for enhanced shooting accuracy. This is great news irrespective of whether you use your slingshot for fishing, hunting or competitive shooting. Trumark’s replacement power bands are designed for a heavy pull, and some users have reported their surprise at the weight of the pull. It is refreshing to discover a product that delivers exactly what it promises – especially when it comes to replacement slingshot bands. Manufactured using the highest quality surgical tubing, Trumark’s power bands are considered among the best you can buy. Their leather ammo pouches can easily accommodate larger shot and are connected to the bands with lightweight hollow pin connectors. The heavier pull capacity which characterizes the Trumark power bands will shoot larger ammo like 3/8” further while delivering a greater target impact. The manufacturer has a reputation for great customer support, so consumers can but this product with confidence. Some entry-level slingshot enthusiasts find the increased weight when pulling back larger shot difficult to manage. This is overcome with practice or reduced shot size. Q. Has anymore used a Chronometer on the bands? A. No users have reported using a Chronometer, but these bands offer a very tough pull. Q. Will these bands fit other makes of hunting slingshots? A. Yes. They are compatible with most other slingshots. Q. Will the replacement bands bend the frame of the Trumark FS1? A. No, they are designed to fit and perform well on most reputable hunting slingshots. Check out what other people who purchased this product think about it. Read Trumark slingshot replacement rubber band reviews. How to Select the Best Slingshot Replacement Rubber? Slingshots make effective hunting and recreation tools, but like most things, they can wear out over time. That’s not to say the slingshot itself will wear out, but there are various components, including the rubber bands, that will. The most common part you need to replace on a slingshot is the rubber band. What many people don’t realize is that if you don’t take care of the band, it’s going to deteriorate a lot quicker than if you did. The brand, model or manufacturer can play a part in the level of deterioration, so ensure you always buy high-quality bands for your slingshot. While the manufacturer can play a part in the longevity of your band, the material it’s made out of can often be the main reason it fails prematurely. Therefore, in our buying guide, we’ve reviewed a top-rated product found on Amazon that could ultimately solve many of your band longevity woes. Slingshots are exceptionally versatile; therefore they can be used in a range of settings. You could be hunting for small game for the dinner table, taking care of pests in your vegetable plot, or having a go at scoring the bullseye on a target. Your activity type plays a huge part in how long your rubber band will last, due to the intensity of the shot, the ammo or projectiles you’re using, and even the conditions to which your slingshot is exposed. The more intense the workout you give your slingshot, the more durable your rubber band will need to be. Rubber bands aren’t dangerous but a rubber band that malfunctions on a slingshot can be. Before you head out on your adventure, ensure your rubber band has not perished, doesn’t feature any small nicks or cracks, and is well-attached to your slingshot. Always carry spares with you as well. Rubber bands for slingshots are made of many different materials, including surgical tubing and latex. You can opt for hollow tubing, flat bands, or standard round bands. The flatter and broader the band, the easier it is to grip for a better shot. The efficiency of the rubber band coupled with the slingshot comes down to both the slingshot and the operator. The more well-made the band and slingshot, the easier it is to take a successful shot. By opting to spend a little more on professional slingshots and durable bands, you are bound to experience increased levels of success. The cost of a slingshot band is often a reflection of the quality of it. Resistance bands, for example, are extremely durable when used for slingshots, but are priced a little higher than a standard slingshot band. You can pay just a few dollars for usual replacement bands, but they don’t tend to last as long as something with more durability and elasticity. Where to Buy Slingshot Replacement Rubber? When the time comes to treat yourself to a decent replacement rubber band for your slingshot, Amazon.com is the best place to look. Not only can you opt for conventional slingshot bands, but you can also look at other band options such as surgical tubing or latex. Shop around, and you’re sure to find a band that will stand the test of time.